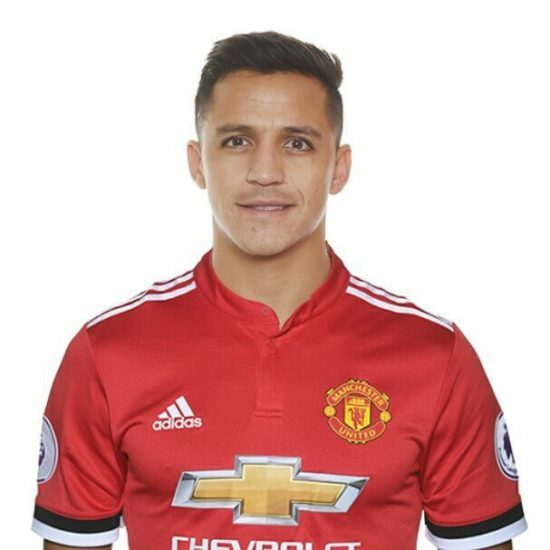 Alexis Sanchez looks like he will finally be a Manchester United player. While many claim money was his main objective, you only have to look at the history of the club he is joining, compared to the history of the club he has turned down. And let’s face it, money is now an important fact in football hence the gambling sites are spending more and more money in advertising on football clubs. If you also need help in making your first steps in gambling without spending a lot of money this uk casinos free spins is the place for you. Manchester United are the biggest club in the world, and the claim that he has turned down Manchester City for financial reasons is the definition of irony. Paul Pogba and Alexis Sanchez are set to be a mouth-watering combination, and Sanchez’s efficiency in front of goal will only improve the team. But, how will Manchester United line up with their new star player? As always, Lukaku will lead the line for United, with Sanchez in the middle of Martial and Lingard. Jesse Lingard may not be the most talented player on the planet, but he’s in form, he does what Mourinho wants and he works hard for the team. With Sanchez perplexity to wonder, a hard worker, who can press will free up space for the Chilean, allowing him to work his magic both inside and outside the box. This system would see a Matic / Pogba pivot in midfield, with the rangey Frenchman given licence to break forward. With more of a focus on Sanchez, Martial will be given the opportunity to make runs in behind, which Pogba will gladly pick out. United seem to have found a balance with the Pogba / Matic pivot, but question marks remains over whether this system gets the best out of Pogba. With his exceptional passing, shooting and dribbling ability, Pogba is a real threat playing further forward. When United are at their attacking best, Pogba is generally at the heart of it. He’s such a natural footballer than he excels in forward positions. Pair him with Sanchez, and you’d have a dream partnership, and instantly increase the technical ability of United’s frontline, along with the likelihood of a ping from outside the area. This system, with either Lingard or Martial on the opposite flank would increase the creativity in the team, but would be Ander Herrera coming back into the centre of midfield. Mourinho does not seem keen on the Spaniard, so we may have to wait until next season when a top centre midfielder is signed for this to come into effect. Sanchez grew frustrated with his Arsenal team mates, most notably Aaron Ramsey, due to loose passes. Can you imagine how he will react to Lukaku’s first touch? If it doesn’t improve, he’ll be banging down Mourinho’s door to demanding to spearhead the attack. Arsenal thrived with this system last season, and if they hadn’t of tried to accommodate Oliver Giroud, it may well have become their go to attack. Despite being small, Sanchez’s first touch, tight control and work rate makes him ideal to lead the line. With his runs and tenacity, he will make space for Martial, Lingard and allow Mata to play at 10. Taking out Lukaku will also improve the flow of United’s attack and make them more exciting to watch. However, having spent £75m on Lukaku, it’s unlikely Mourinho will drop him. Whatever system Mourinho goes with, Sanchez will take centre focus. He turned down City because of guaranteed game time, so he will have been promised a big role at United. Regardless of promises, Alexis is so good he will start every game. He is a world class player, and one that will raise the level of everyone around his. Defenders be afraid, be very afraid.